Why do you need massaging? Why do you need massaging? It is an accepted fact that the lifestyles that we lead are mostly not in conformity with the ideal picture of health and vigour that we would like to see ourselves in. The reasons are many – the unhealthy and strenuous postures that we tend to adopt while studying or while at work directly cause cramps and muscular pain in the body. Sitting in one posture, that we usually do while working, causes the tension in our muscle tendons and even in the cartilage tendons. The main area that is affected is the spinal cord and so we often feel the cramps in our lower back and the back of the neck, as these muscles bear the brunt. Generally, the symptoms of muscular tension in the back manifest in the form of spasms and a dull pain in the lower back area. In extreme cases, if this pain travels to the buttocks and legs, it can result in a severely painful condition called sciatica. In certain cases, inflammation of the tendons has also been reported. But what exactly does this have to do with massaging? The answer is – everything! Massage is the act of application of pressure on the body in varied ways, which releases the accumulated stress and heals the strained muscular tissues. Mainly, the act of masage is aimed at either a constant application of pressure or a dynamic and rhythmic movement of the pressure. It may be done in a plain streamlined manner or even in a complete random movement over the affected muscular and nervous zones. Traditionally, it has been done manually and in fact, manual one is still a luxurious and holistic way of physical well being. A diverse range of massage techniques is followed throughout the world –from the traditional Chinese one to the Thai. While it may be oiled or dry, the underlying principle is the same in most of the systems. However, lately the practice of using equipment like chairs and tables has increased manifold. The main reasons for this are the ever increasing time constraints for working professionals. In leading work spheres across the globe, the usage of the chairs has seen rapid growth as the general level of awareness about physical healing has gone up. The chairs may be either traditional or robotic. Traditional one allow a greater access to head, shoulders and back and are suitable in professional atmospheres. 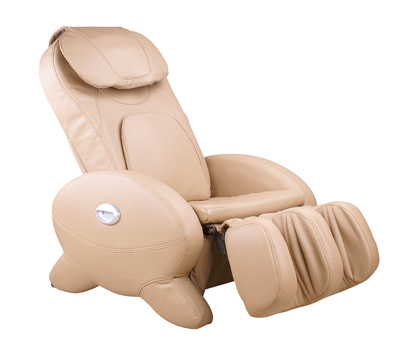 The robotic relaxation chairs come with additional benefits of electronic sensors, rollers and movers that actually massage and tone up the drained and exhausted nerves in a highly smooth manner. Moreover, these chairs are particularly suited for rhythmic pulsation –based pressure application and pressure –dissipation, which not only relaxes the muscles but does so in a gently, warm way that will leave a smile on your face. Coming with recliners, mostly as an essential addition, robotic relaxation chairs have gained much popularity already. Due to the portability and ease of use, along with the fact that there is no restraint of any space, the chair is exactly what you need. We sell member price to encourage patronage and membership after you have result that our equipment works. The price is N819,000 excluding cost of delivery. We offer prompt delivery of the product using courier services for between N2,500 and N5,000 within Lagos. Delivery cost with transportation to respective park cost between N2,500 - N7,500 which depend on your location. You can order for the Blood Circulation and Massaging Machine. We sell massaging machine member price to encourage patronage and membership after you have result that our equipment works. The price is N178,500 excluding cost of delivery.